Already listed with Phuket apartments for rent directory? Rental apartment in Bang Tao - Laguna area is easy found. Bang Tao - Laguna area is also located amidst the convenient transportation and surrounded by complete utilities. 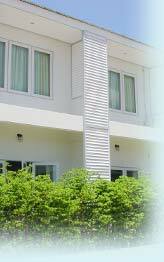 Find Phuket apartment in Bang Tao - Laguna area to collect more experiences in Phuket. Layan Gardens is a luxurious apartment complex with stunning views of the Andaman Sea. Contemporary designed spacious apartments and Penthouses set in superb tropical gardens.